Editor’s note: Harsha Desai passed away on January 11, 2015. He was 71. Harsha’s passion for social innovation and entrepreneurship will be fondly remembered by all of us here at the Warnock Foundation. Harsha Desai is at a stage when most people are thinking about retirement – not starting a new social-impact venture. At 70, he is a full-time business professor at Loyola University with a consulting practice on the side. But Desai, who has taught at Loyola since 1982, shows no signs of slowing down. Several years ago he founded the Center for Sustainable Social Impact (CfSSI), with the goal of assisting nonprofit organizations with things they often have trouble doing well – because, he says, “They are so mission-driven.” For example, nonprofits rarely have the time, resources or expertise to excel at nitty-gritty tasks like writing a marketing plan. He also hopes to establish a mechanism where nonprofits that have good ideas but deep financial needs can get access to loans of up to $10,000. The CfSSI’s current projects range from working on a business model for The Door, a tiny community development group in Baltimore, to helping the massive umbrella organization Maryland Nonprofits to clarify the role of its Standards for Excellence Institute. His team also assisted the small nonprofit Baltimore Green Map by helping it to identify income streams and to define the separation between its activities and those of the consulting firm run by Baltimore Green Map’s founder. “Our focus has been mostly on helping organizations grow or think through issues,” he says. Desai left Punai, India, almost 50 years ago and has lived in Catonsville with his wife, a nurse, since 1975. He has studied social enterprises in his native land as well as China. One of the CfSSI’s current projects is to help formulate a business plan for TUBA: The Uganda Baltimore Alliance, which aims to foster cultural exchange between young musicians in that African nation and in Charm City. He’s also working on writing a business case for a social enterprise in India that trains abused women to provide home care for the elderly, benefiting both groups. The loan program Desai has in mind would involve partnering with a funder to provide no-interest loans of up to $10,000 to nonprofits deemed worthy, with the CfSSI helping out on the strategy side. The expectation is that this money would leverage the nonprofit’s ability to eventually help other groups. In the event that the money could not be repaid, it would convert to a grant. Desai teaches a class in nonprofit management and has long sent his MBA students out to study and gain experience in the nonprofit sector. He has a relationship with Loyola’s Center for Community Service and Justice, which sends his center potential clients. 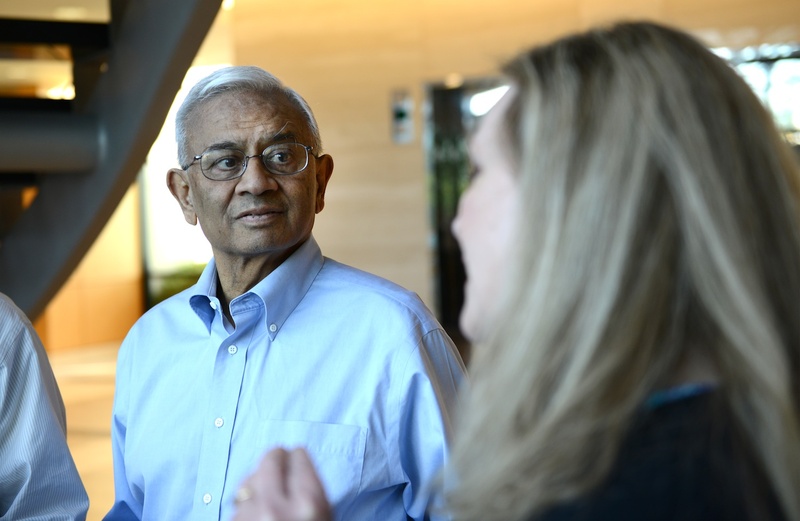 After running the center as a strictly pro-bono affair for several years with his own resources and the work of volunteers (mostly his students and former students), Desai is thinking about how the CfSSI should evolve. He plans to register it as a nonprofit and is considering whether to start charging for services, using a sliding scale. Clarification: An earlier version of this article stated that Baltimore Green Map had been split into nonprofit and for-profit entities, but the organization has always been and continues to be strictly a nonprofit.